Today's LDS Seminary D&C lesson went really well so I thought that I better blog about it before I forget what I did. I printed out all of the keys below onto card stock and then cut them out. Before my students arrived I taped all the keys except Jesus Christ and Joseph Smith under the desks. I also set up a nice sacrament that I covered with a sheet. I placed the Jesus Christ key on the sacrament. At the beginning of my lesson I chose one student to be Joseph Smith and gave him his key, one student to be the angel and one student to narrate. I gave the explanation in the manual Lesson 22 D&C 27 of what the background to the situation was (Joseph Smith was going to buy some wine for the sacrament when he was stopped by an angel and given this revelation.). Then I took turns with the narrator reading and the angel reading, and I stopped every now and then to give explanation or ask questions. I had the students look under their desks to find the keys. 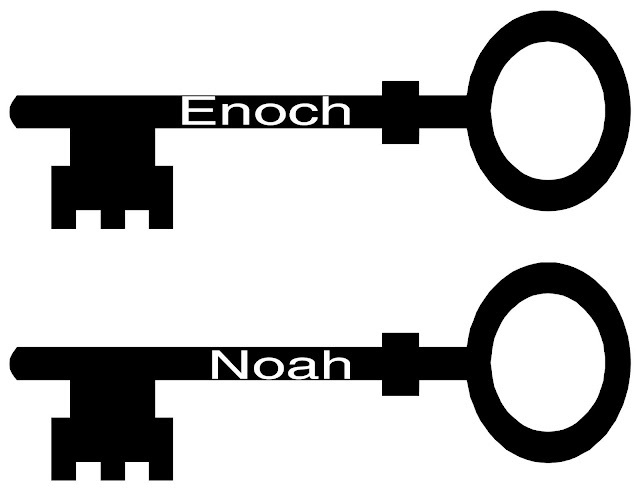 They were to listen for the name on their key to be called and then come up to give the key to Joseph Smith. If they didn't hear their name called I had them bring up their key at the end. When we got to verse 13 we talked about what a dispensation was, and what the last dispensation means. I think that it was very effective for the students to see our Joseph Smith with all the the keys and to know that he was given each key by and angel. When I got to the part of the sacrament I uncovered it and discussed it with the students. We ended with verse "14 And also with all those whom my Father hath given me out of the world." I asked them who that was and we decided that it was all who were righteous. I had them underline it and write "me" by it. Tomorrow I will spend time on the armor of God. If it goes well I just might blog about it. Here are the keys to print out. Just right click and copy and paste it, or save it into your pictures and print from your printing program. To see all of the Doctrine and Covenants Seminary Ideas just click here.